Ahero is a community in Kisumu with an extremely high infection rate- there are nearly 4,000 residents currently on ARV treatment in Ahero, and the community is highly affected by stigma. The CARE for AIDS center in Ahero opened in October of 2015. Val began serving with CARE for AIDS in 2015. Her favorite part of the job is seeing clients transformed, especially the bedridden. She is inspired when they are empowered, starting an income generating activity and providing for their families. Erick joined with CFA in 2016 as an opportunity to serve, to reach out to souls and to win them to Christ. He dreams that the clients will be God-fearing, prayerful and spirit filled people who will be living to fulfill God’s purpose on earth. For himself, he dreams of being a source of encouragement to someone and increase his own spiritual knowledge so he might help even more. In 2012, Linus found out that he was HIV-positive. At the time, he was living a very risky lifestyle and was not being faithful to his wife— unfortunately, Linus often got very sick and brought various illnesses back into his home, infecting his wife and children. Linus’ wife is a community health worker and heard about the CARE for AIDS program through her professional network. She convinced Linus to join the program with her in 2017, and they went through the nine-month process together. Linus became a Christian in the program, and through a long process of counseling and reconciliation, he and his wife recommitted to their marriage. After he learned the importance of daily adherence to his ARV medication, Linus’ health began to stabilize. His viral load was lowering and he was determined not to bring any other infections or diseases into his home to harm his kids or his wife. His focus is on taking better care of his family, and he prays for God to protect them. Linus now reads his Bible daily and also teaches it to his children. Linus’ dream is to be able to send his kids to a good school, so he’s practicing the crafts he learned in the CARE for AIDS seminars, including basket weaving and soap making, in order to sell his products in the market. He plans to save the money he makes to pay for his children’s school fees. Linus now volunteers as a male champion with CARE for AIDS in Kisumu. When he meets another man who he thinks might be HIV-positive, Linus discloses his HIV status to the man. He tells men in the community about how his life has changed in the CARE for AIDS program, including what he has learned about nutrition, adherence to medication, and the various skills and crafts he has learned. His hope is that he can recruit men in the community to join the program and that they, too, can become strong, God-fearing leaders in their families. Nuru is a slum community in Kisumu, Kenya. The population density combined with extreme poverty rates in the Nuru community contribute to a high HIV infection rate. This area also has the largest Muslim population in Kisumu. The CARE for AIDS center in Nuru launched in October of 2011 in partnership with Full Gospel Church of Kenya under the leadership of Pastor Joseph Opere. The current class of 75 HIV+ clients is on track to graduate in September of 2018. Lillian joined the CARE for AIDS team in 2011. She and her husband, Rodgers, have two daughters and live in the Nuru community. "I love when I am able to attend to bedridden clients and eventually see them walk again!" Dan joined the CARE for AIDS team in 2011 and had faithfully served over 500 clients as the Spiritual Counselor in Nuru. "I love serving people and I am proud to invest fully in my community through my work with CFA." Judith is a 49-year-old widow with two adult children and one grandchild. She was tested positive for HIV in 2006. For many years, Judith was a cook at a primary school. Out of fear of being stigmatized and possibly losing her job, Judith was ashamed of her status. This shame caused her to often not pick up her medicine from the clinic or to not take her medicine every day, especially if she was around other people. Unfortunately, because she didn’t adhere well to her ARV medication, she defaulted, meaning that her body was no longer responding to the ARVs she had been prescribed. Her health started to decline. Due to her failing health, the school where she works told her to stay home and rest until she becomes well and strong enough to work again. Without a job, she became even more fearful of how long she would live and how she would pay for food and rent. This was her state when she joined the CARE for AIDS program. Her viral load was high, meaning that there was a lot of HIV in her blood. With a high viral load, CD4 cell counts tend to fall and there is a greater risk of becoming ill because of HIV. CARE for AIDS went with her to the clinic where she receives her ARV medication and advocated for her to be switched to new ARV medication. Through the support of the CFA program, she has been taking her new medication daily and with adequate nutritional support and her body is reacting well. 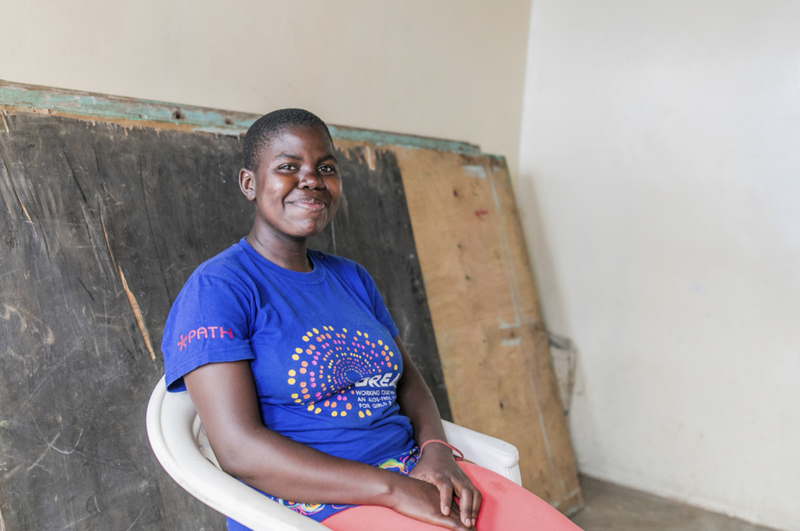 Unfortunately, even though her viral load is decreasing, the CARE for AIDS staff noticed that Judith was rapidly losing weight and that her health was still continuing to decline, rather than improve. They organized for her to receive nutritional flour porridge and beetroots in hopes of helping her to gain weight. However, after many conversations with her about her diet and whether she was experiencing any other symptoms than weight loss, they realized that she was not being able to have a bowel movement for up to 2 weeks at a time. The staff arranged for her to have an appointment at the hospital. It was determined that a colonoscopy would be necessary to diagnose Judith’s health issues. The hospital in Kisumu, where she lives, only has one doctor who can perform this procedure and therefore charges a very high price. Our staff did research and were able to pay for the transport and travel with her to another city called Kijabe to have the procedure done at a mission’s hospital for less than half the cost of the hospital in Kisumu. During the colonoscopy procedure, the doctor took biopsies because he feared from his preliminary evaluation that she might have colon cancer. Thankfully, the biopsies came back negative and she does not have cancer. She was diagnosed with chronic constipation and prescribed medications to help relieve her. Her constipation was causing her lack of appetite and she has also been prescribed an appetite stimulant to help her regain some of the weight that she’s lost over the last few months. Judith is incredibly thankful for all the help that CARE for AIDS has given her over the past several months. Having lost her husband a few years back, and having recently been laid off from her job, there would have been no way for her family to save or raise the money necessary to pay for the tests and treatment that she needed. She said she wouldn’t have even stepped into a hospital to seek treatment if it hadn’t been for the help and support of the CARE for AIDS staff and medical endowment fund. She gives praise to God for bringing her to the CARE for AIDS program at exactly the right time. The Nyalenda slum is the largest slum in Kisumu, stretching along the southern border of the city from the Nairobi Highway to Lake Victoria. Most of the community members live in temporary structures made of corrugated tin sheeting. There is little to no running water or electricity in the area. The majority of the residents in Nyalenda are from the Luo Tribe, which has an infection rate of over 20%- the highest tribal infection rate in Kenya. Luo cultural traditions like wife inheritance, along with poor health infrastructure, contribute to the high infection rate in the community. Risper is 20 years old. She is a single mother to two girls, one is 3 years old and the other is 1 year old. Risper was raised by her dad; her mother passed away while she was still young. When she was in form 2, or 10th grade, her dad took her to the clinic to be tested for HIV and the test was positive. She immediately began taking ARV medication. A year later, Risper found out that she was pregnant with her first born. Her boyfriend at the time left her after finding out about the baby. Sadly, the same thing occurred two years later and her new partner also left when she found out she pregnant with her second child. Thankfully, with the support of her dad, she was still able to finish high school and take her exit exams. Early this year, Risper’s doctor told her about the CARE for AIDS program at Nyalenda center. She met with the staff and decided to join the program. “I used to be very stressed,” she said, “being a single mother to two young children and trying to make enough money to care for this is a big challenge.” Thankfully, the one-on-one counseling with our staff plus the support of the new friends she made in the program, Risper has learned how to better balance being a young mother while also pursuing her dream to one day be an accountant. Mamboleo is a slum community in Kisumu, Kenya. The CARE for AIDS center in Mamboleo launched in November of 2014 in partnership with Mamboleo Baptist Church under the leadership of Pastor Christopher Aiye. 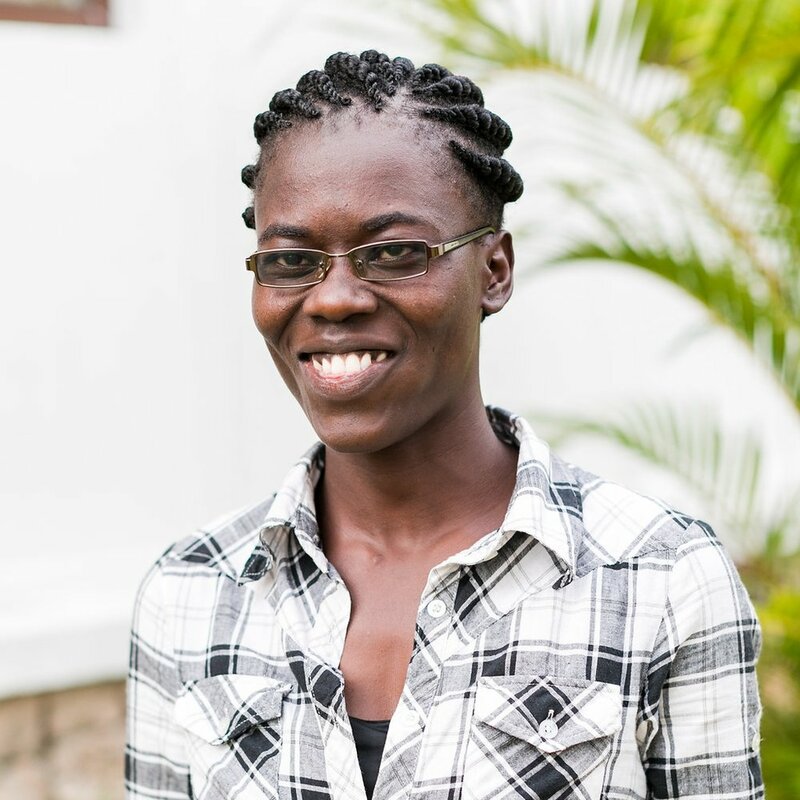 Lucy joined the CARE for AIDS team in 2014 and has faithfully served over 300 clients as the Health Counselor in Mamboleo. "I love sitting with and listening to our clients. My hope is that I can make a difference in their lives." Erik joined the CARE for AIDS team in 2015 and is passionate about his work in the Mamboleo community. "I love when I am able to be part of a client's transformation." Jacob learned he was HIV-positive in 2005. With encouragement from his wife he accepted his status and immediately began taking ARV medication. His wife and three children are all HIV-negative. Sadly, when giving birth to their last born, Jacob’s wife passed away from complications during labor. After several years of struggling to take care of the kids on his own, Jacob joined the CARE for AIDS program at Mamboleo Baptist Church. Through the program’s one-on-one spiritual counseling, Jacob has accepted Christ as his personal savior. He’s been given a Bible and has learned a lot about how to study the different books. Every night, he opens the Bible and reads to his children before bed. He has also become a member of Mamboleo Baptist Church and takes his children with him to worship every Sunday morning. Through the CARE for AIDS program, Jacob has learned to be more self-reliant. He no longer has to go out and look for daily work but has acquired skills in agribusiness that have allowed him to grow and sell cabbages to provide for his kids. He uses the money he makes from his business to buy his children’s school uniforms and to pay their school fees. He has also learned how to rear chickens from the program and soon hopes to begin raising and selling chickens for additional income. With any money he is able to save, he hopes to eventually be able to rebuild their home, which is currently on an slope so that water runs inside when it rains. Before Jacob joined the CARE for AIDS program at Mamboleo Baptist Church, he had not been able to get medical treatment for an infection in his throat that was making it difficult for him to eat or drink anything. Through the medical endowment fund at CARE for AIDS, the health counselor was able to have him seen at a clinic and medicine was prescribed that has completely healed his throat. Jacob gives thanks to God for giving him the chance to be in the CARE for AIDS program and is thankful for the staff who run it. The CARE for AIDS center in the Koyango community of Manyatta opened in 2013 in partnership with Manyatta Baptist Church. The Manyatta Baptist center is generously sponsored by the Jerry Licari Foundation in honor of Jerry’s brother, Thomas Licari. Jacob grew up in a happy family living in a slum. He has been working on mission with CFA since 2014 . His favorite part of the job is bringing people to Christ and seeing the transformation in the lives of clients. Lucy’s smile lights up the room- you could never imagine the hardship she has faced. When her baby girl was just 2 days old, her mother-in-law stormed into her house and said, “I am going to kill you because you are trying to kill my son [with HIV].” Lucy was forced out of the community and lived on the streets with her newborn, Tyra, for 10 months. Finally, a nurse at the hospital told her she could find help at Manyatta Baptist Church where she met center counselors Jacob and Juliet. She is still recovering from being bedridden, but she said, “All I need is my strength, and I can do anything!” She is a fighter, and we know she will live to see Tyra grow up and have kids of her own.